INVESTORS! This building is in Prescott's OPPORTUNITY ZONE! See ''Documents'' tab for details or call agent. Lot reservations only are being taken. The retail space is street level with high visibility! Unit will be built out to gray shell. Purchaser will finish out. 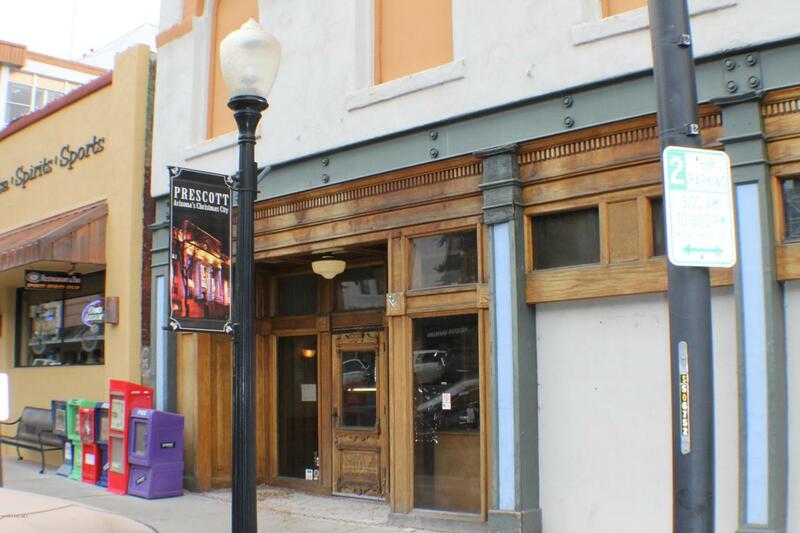 Half block from Downtown Prescott Courthouse - the hub of the city! Condominiums and small craft bar also platted within building. 1 parking spot in back of building designated for retail space owner/operator. Renderings shown are for example purposes ONLY. All units are built out by buyer. Lot reservations ONLY are being taken. Only reservation or conditional sales contracts will be taken until the Public Report has been issued. All sales contingent upon completion of build-out to gray shell.Taxes and HOA To Be Determined. THIS LOT HAS ONE RESERVATION. TAKING BACK UP.